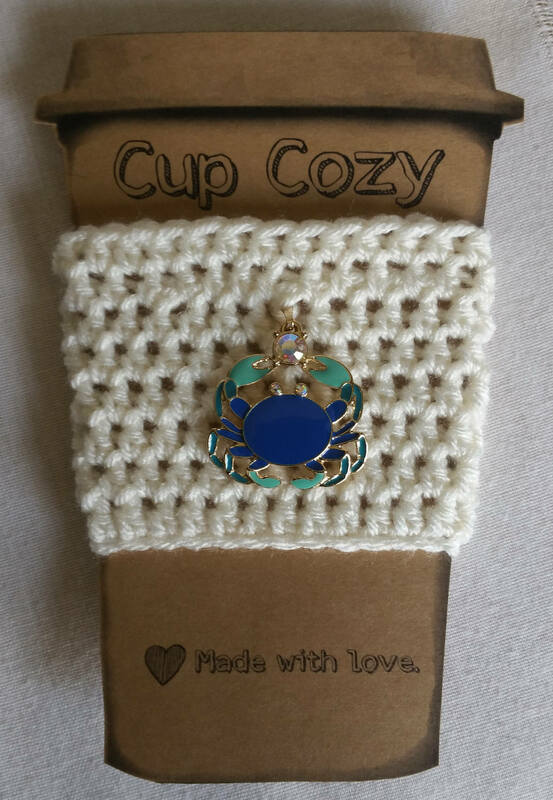 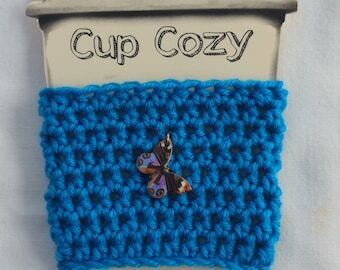 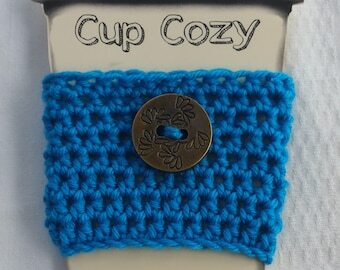 Adorable, summer themed coffee cup cozy with large crab charm attached. 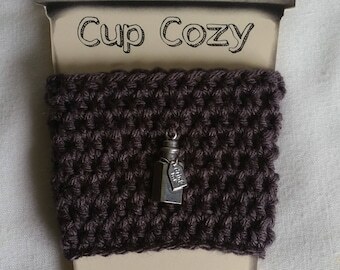 Perfect gift for your favorite coffee drinker! 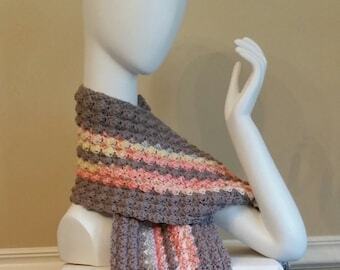 Only one is available, so don't hesitate, this design has had rave reviews as it was assembled!